Vegetarian recipes, healthy foods, kitchen tips and shortcuts interest Liz, but she also likes desserts! To Coupon or Not to Coupon, That is the Question! 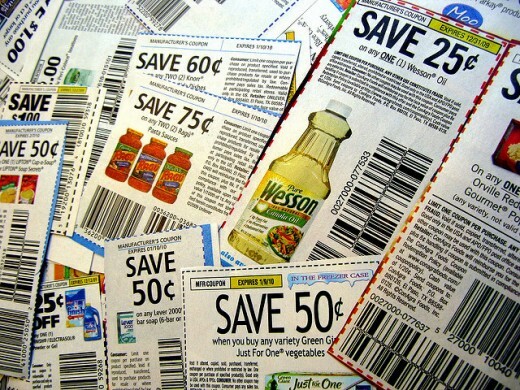 Many people swear by coupons as a way to save money on groceries and household supplies. I do not use them. Why? I believe it is a false perception of savings; false economy, if you will. It is much on the same level as buying the very cheapest paper towels or toilet tissue, only to find they are so flimsy you need to use more of the product for each use. You then actually spend more money because of needing to purchase the product more often than if you had gotten a better quality product in the first place, as it would have lasted longer. What is Involved in Couponing? Some folks might be into the latest technology, in which a coupon can be downloaded, stored in their 'smart phone,' and shown at the register that way. It's a fairly new application, and not everyone has access to this option. Besides, if you're doing that, it's still not free: you also have to figure in a portion of the cost of your phone service...data/text charges and what have you that are incurred. To honestly claim significant savings, you really must factor in all of these hidden costs to what it takes to deal with coupons, and deduct those costs from your perceived savings. You may not like what you discover. When you come right down to it, coupons truly serve only a single purpose, and it is not to provide significant savings to the consumer. No, it's to ensure brand-name loyalty. That is all. They are but an advertising ploy; a gimmick. How can I be so sure of this? Just think for a moment. When was the last time you saw a cents-off coupon for any store-brand/private label product? Think about that for a moment; I'll wait. Okay, I'm guessing you have your answer by now, and it probably matches mine: "Never." That's right. There are no coupons created for saving money on private label store brands because they are already much less expensive than the name brand counterparts. And truthfully, there is really no difference in quality between name brand and house brand items in the majority of cases. None that could be detected in a blind taste test, anyway. It is all about habits learned from years of being persuaded (brainwashed might be a better term) by heavy-hitting advertising campaigns. You Have Paid For Those Coupons! Make no mistake: everyone buying those brands is paying for that advertising, which does not come cheaply. That is the only honest reason name brands cost more. So, in a sense, you are paying the companies to give you the coupons to give you the illusion of saving money, when in point of fact, you have already paid them back plus, for their product and advertising costs! What is even more ironic, is that many private label brands are made by the very same name-brand companies, just run down a separate packaging line to get the different labels. On an ingredient-for-ingredient, comparison, they are usually identical, or so close as to be not worth mentioning. Sometimes, there are small differences, and every so often, those differences are better. For example, a famous national brand of soup has a "low sodium heart-healthy" version of several of its flavors. I compared it to the regular version, same flavor, of the house brand, and guess what? The house brand was even lower in sodium than the name-brand's supposedly 'heart healthy' version! That is important to me, as my husband is a heart patient. So, there is no real reason to favor the famous brands over a house brand. And in my experience, the latter is still less expensive, even after figuring in any 'cents-off' coupon on the name brand. $1.78 times 3 boxes = $5.34. So: $5.34 - 75¢ = $4.59, rendering the cost of each box at $1.53, or half a dollar more than if the coupon applied to only a single box. Now, let's look at the cost of the house brand of the same type of item: 98¢, or a savings of over half a dollar, (at 55¢) less than the price of the name brand with the coupon "savings" applied. Even if the coupon was good on just one box, that $1.03 is still a nickel more than the house brand. When you are on a fixed income, nickels and pennies do count! Another example is macaroni and cheese boxed products. This is one of the earliest 'convenience foods' to have hit the market, way back in the days of the dinosaurs, when I was a child. The assorted name brands of mac-and-cheese cost more than double the house brand, which, at the same store used for the above comparison, sells for just 68¢ a box! This even beats the dollar store price by 32¢! Another stunt these corporations love to play, is to make the coupon good only on certain sizes; usually a mega-size that is too much product if there are only 2 people in the household, or, even for a larger family, too large for available storage in the home. If you buy more than you need, you are wasting money. I am reminded of an uncle (by marriage) of mine who loved to practice this sort of false economy. At Thanksgiving, he would go out an buy the largest turkey he could find, on the grounds that it was a few cents cheaper by the pound. So far, so good. The problem arose after T-Day. The family consisted only of himself and my aunt. That was way too much turkey for just 2 people to reasonably use in the first place. Here is where it got truly ridiculous: he did not like, and refused to eat, leftover turkey in any way, shape or form! What to do with all those leftovers??? Can you imagine the difficulty of trying to give away leftover turkey right after Thanksgiving??? All of those newspapers and magazines take a toll on the environment, starting with the production of the paper, whether that is cutting down trees or fuel used in recycling; it all has an environmental cost. While recycled is better, slick magazines use virgin paper, and that means trees. Newspapers are often (or can be) recycled paper, and while that is easier on the forests, it is still a process that uses a lot of power and water to produce the final product. Paperless coupons? Perhaps..but there is a huge environmental cost in the making of those sophisticated electronics of which everyone is so enamored these days, what with all manner of solvents and heavy metals used in the process. We hear so often about people saving so much money by being "ultra-extreme couponers," and doing it by doubling the coupons, adding them onto other offers, etc., supposedly ending up with claims of having gotten $600.00 worth of groceries for just $7.89, or some such equally unbelievable figure. I cry foul and BS! It's not an easy game to play--all the organizing work above is going to be at least doubled, and that's not to mention, it's not nearly as possible as it once was. If you read the fine print, much of that has been "outlawed," (for lack of a better word) by either the stores, or the issuing company. Notations printed on the coupons themselves to the effect of "may not be combined with other offers," or "not subject to doubling," are putting the brakes on those practices. After all--allowing consumers to do all those things costs them money, and if you are paying any attention at all these days, spending money is one thing large corporations do not want to do! The store doesn't want to be out the cost of coupons they allowed for doubling, as they won't be reimbursed for that. The issuing company doesn't want to give you two deals in one, so they don't want to let you use a coupon on something that's already on a 50% off promotion because they figure they've already been generous enough. Not for me, thank you. I have quite enough to keep track of already in my life, and I don't believe they save me a dime over buying house brands, or paying attention to special mark-downs in the few cases where a name brand is temporarily less expensive than the house brand. For the most part, so-called 'sale' prices at higher-end grocery stores are still higher than those at my discount chain, so I don't shop at those stores. I don't believe coupons save me anything, so I don't play that game. Terrific analysis! My time is better spent writing Hubs than cutting 25 cent coupons. I know a lot of people use them, and my own elder daughter recently decided she was going to try it. I have never in my life seen a coupon for $5 or $10 off on ANYTHING (that I would normally buy or can afford!) .. If they're offering that big a discount, then that tells me that the item is VERY expensive, and even with that coupon, would still be outside my budget. Well, she went and bought a Sunday paper (cost, $1.5o), and found within less than a dollar's worth of coupons she could use. So, that's going in the hole. The latest trend is for them to 'save' you as little as possible. Where back in the day (say 20 years ago), you could find coupons for 50 or 75 cents off a product, now, it's 50 or 75 cents off, IF you buy THREE. That cuts your savings in thirds, and is hardly worth mentioning. I have 6 cats, and I've looked and looked, but there are no coupons available for the brand I buy--the least expensive of the dry kibbles on the market. Even though it's by a major pet food manufacturer, I guess they figure their base price has saved you enough, and no further discounts are offered. Hi Dzy...I use to clip coupons a long time ago, but haven't in years. My daughter is, she gets tons of stuff for practically free. Which is great for the family. When I need a coupon...I ask my daughter. I do like the $5 or $10 off coupons, I never pass those up. Everyone has to make their own choices, and do what works for them. This article is based upon my personal experience, and most available coupons are for things I don't usually buy, or you have to buy 3 of something to get a measly 75 cents off, so it's just not worth it for me. Thank you for stopping by and adding your experience. I don't know what I would do without my Grocery Coupons, they save our family so much money each month. Thanks so much for your input and perspective from another country. It is interesting to compare. Thanks for the votes! I am in Australia and we have yet to have massive couponing, as most coupons here offer tiny little amounts off that don't help much. However, there are a couple of good coupon programs where you get savings off what you buy anyway (petrol and groceries). Once I find good coupons, I just use those ones and ignore the others. I can only imagine how much time could be spent checking out the US coupons though - seen a few documentaries on it! Voted useful. What I stated is NOT inaccurate for WHERE I LIVE!! Here, there are NEVER any coupons for house-brand merchandise, on the shelves, in in-store flyers, or anywhere else. They do not exist. If that is not true in other parts of the country, it does not mean I am "serving platters of bolonga." I resent that tone. I did my research, had my own experiences, and what I write is true for my area. I will not enter further debate with you on the subject--any further such comments will simply be denied. I've given you fair platform to provide a dissenting opinion, and you are now descending into the borderline of slander. It will not be accepted or tolerated. "That's right. There are no coupons created for saving money on private label store brands because they are already much less expensive than the name brand counterparts." You are not correct. There are plenty of in-store coupons of the type you declare do not exist. Here, we see and use them all the time in the grocery store. No need to keep track of them or carry them around with us. Our usual grocery stores hang them on the shelf edges by the couponed goods. They are not present "on occasion," but are there for different products every day. Some of the in-store coupons provide savings for "store brand" stuff, and some provide savings for "name brand" products, too. Some of the in-store coupons do both. I cannot fault anyone who does not like or use merchandise coupons. It is a matter of personal choice, certainly. What I did not care for in the article were its many inaccuracies and those very firm declarations that were in just plain error. One such statement was that one, noted above, that told of your strange opinion about in-store coupons being not useful in purchases of store-brand merchandise because store-brand stuff was already sufficiently low-priced. Perhaps a good title for this article might be "What I want people to believe about grocery coupons about which I have a lot to learn." That now-dead Nazi propaganda guy was correct - if you tell nonsense loudly and often enough, people will believe it. So much for those "bad" coupons, right? Please consider that I really enjoyed your article and the hard work you put into writing it. Really. You may wonder about my delight in the writing. It is explainable. I was once more reminded that ordinary people, like you and me, are just as capable about serving up platters full of balogna as do the most practiced of the world's politicians. In some instances, those folks don't hold a candle to us in that regard. Hello, AliciaC--I agree--I usually go for the store brands, myself. You do have to know your prices, though, for sometimes, a name brand is marked down a few cents cheaper than the house brand, even without any coupons...it's rare, but it does happen now and then. I'm glad you found the article useful, and I thank you for your comment. This is an interesting hub, DzyMsLizzy. I generally don't use coupons and instead buy the cheaper store brands that contain the ingredients that I want. You've given me a lot of food for thought in relation to couponing! What I said, (somewhere either in my article or one of the comment replies), was, that I HAD tried couponing when my kids were young, and found, THROUGH MY PERSONAL EXPERIENCE, that they were not worth my time, or, to me, the paper on which they were printed. Some folks like to use coupons to help them pay for stuff they want to buy, and some folks do not. That's reasonably simple. I do not personally use coupons, mainly because I am too disorganized for that. Other people I know use coupons every now and then. Some really go after coupons in a big way. They truly benefit. So do I when they share some of the purchases and freebies with me. There is one piece of info that some of those coupon nuts shared with me. It is that they confer with the store owners and managers about their super-use of coupons so as to not upset the businesses or the people who work there. They told me that one time the manager of a big chain grocery store actually ordered a whole pallet of some kind of laundry soap for them such that they would not empty the shelves and deprive one-coupon-at-a-time shoppers of their chance to get the product at a savings. This explanation taught me that those who are serious about their coupon use really make quite a business out of it. When I got to thinking about the possible ethics involved in using coupons for purchasing cost reduction and even cost elimination, I had to re-think that aspect of the coupon situation. The manufacturer or wholesaler wants people to experience the product such that the users want more later. Storekeepers want to move merchandise and make profits. Coupon use, even super-use, fulfills both desires. Coupons move lots of product. Storekeepers get paid for the moved merchandise and, most often, get paid a service fee on their coupon processing. So I have been told by storekeepers. I have not researched coupon use situation(s), but I have benefited directly from coupon use by others whose generosity brought couponed merchandise into my hands - such as all of that free Cheerios cereal. In your article you state that you do not (have not?) used coupons because they seem to be a waste of your time and energy. All the same you certainly give the impression to readers that you believe coupons to be rather silly and worthless things that work to the good of virtually no shopper. That seems to me to be much like me expounding on the manufacturing of diesel locomotives when you have never manufactured one nor studied their manufacturing other than by looking at photographs of railroad trains. When I wrote that I do know better than do you that coupons really can be beneficial, I failed to qualify that thought. I know that coupons are very beneficial to users who actually use coupons - but they are not of any value at all to those who do not use them nor to the coupon handling industry persons who do not receive coupons in their businesses from people who shun coupons. Compacting that whole thought somewhat, the only way to taste a piece of apple pie is to eat some. Looking apple pie up in the literature does not provide anyone with the know-how to tell others how the pie tastes. The words may describe it, but only a pie-eater's taste buds will actually be able to taste it. Same way with coupons. You can't taste them if you don't use them - or unless someone shares a coupon or more with you. Have fun today, DzyMsLizzy ! @ GusTheRedneck--Thank you for your comment, on which you obviously invested some time. However, I’d like to point out that anyone is free to disagree with anyone else. Everyone’s experiences are different, as are their budgets. That said, I believe you mis-interpreted some of the things I said. Next, it is nice that some people donated to you boxes of cereal which you like, but again, not my point. It would be interesting to know the exact amount they paid, and compare it with a house brand of the same type of cereal. It’s kind of like folks who go to play slot machines, and brag about a “big win,” but forget to factor in how much money that “win” cost them. It is rare to get coupons for absolutely ‘free’ stuff--and those usually are mailed directly to you in response to a complaint about the product--they want you back, so they “give” you a freebie. You claim to “know better,” and I don’t see it that way. My article is based on honest research as well as personal opinion, and as I said, you never see coupons for house-brand or generic items, because their main purpose is to insure brand loyalty. You are free to disagree; that is your prerogative. But don’t tell me I’m “wrong” just because you disagree with my research. @ FlourishAnyway--Yes, I know all too well the feeling of finding the rare coupon for something you actually want, only to forget the thing at home. I did couponing when my kids were young, and most went unused anyway, because, as I said, the house brands were cheaper anyway, even after the coupon discount. Thanks for stopping by. @ Lisa HW--I know what you mean. (See my reply to “FlourishAnyway” ..LOL) Thanks very much for your input. @ GusTheRedneck--What do you mean by saying, “Obviously you did not mean any of this.” ?? You do have to allow time for a back-and-forth conversation to set up the parameters, and I only just published the article yesterday (7-21-14) for pity sakes! I will accept a challenge, but, the rules, as I said, will be strict--we are obviously in different states, so the rules will apply based on what is an is not allowed here in my state. (Since it is my article, and my challenge, I get to set the rules) . 3. Local house-brand or generic items may be substituted for the name brand items on the list. Even with all that in place, there are differences in the cost of living over various areas of the country, which can skew the results, so yes, I accept the challenge, but, you must realize that I live in a high-cost-of-living part of the country, so again, while coupons might work for you, they don’t for me, given that all the ‘extreme couponing tricks’ are not available here. @ The Examiner-1--That is certainly one approach to using coupons, and it does not take up the time involved in the “extreme couponing” type of activity addressed in my article. Thanks for your input. @ VictoriaLynn--Well, here, you cannot redeem them for cash. In fact, it is so printed on coupons. “Not redeemable for cash,” and if someone wanted to try, they also say, “cash value, 1 mil,” on some and “1/20 of a cent” on others. I agree, use only what you need for something you really want and would normally buy, but don’t go nuts. Thanks for stopping by; I’m glad you liked the article. @ MizBejabbers--You raise another good point; that of so many coupons only being good on multiple purchases. When I am on a tight budget, I don’t have enough to buy an extra of something, just to save 35 cents on the pair. It is still cheaper to buy only the single, or more likely, the house brand. I don’t clip any coupons, as I do not get anything that has coupons to clip. We read the newspaper online, and I never really see any coupons I want--or want to spend my printer ink on. Nor do I have a so-called “smart” phone to use that option. Many thanks for your comment and the vote! Wow, Bill and Dzy--I didn't know that people could ever redeem coupons for cash. Interesting. Dzy--You really made some great points. I know people who spend hours and hours clipping coupons and driving from store to store to get the best deals with their coupons. I do get the local paper on weekends and print coupons occasionally when it seems worth it. But I don't go too crazy with it. It can be very time-consuming. I use coupons when they come easily and save me money. Great hub! I do not save every coupon. I go through the sale brochures online for the supermarket where I shop and if they have coupons for something that I buy, I get it from circulars in store. If I happen to browse anything at home that has coupons for items I buy I keep them until the date, if I do not shop by then I throw out the coupon.
" I don't believe coupons save me anything, so I don't play that game. Don't believe me? Have a different opinion or experiences? Please do share in the comments. I would happily accept a challenge,. but the rules of play would be strict. ;-)"
Obviously you did not mean any of this. With the way I shop and the fact that I really don't want to be getting too "all involved" with coupons, I tend not to bother with coupons. They're great if/when I happen to find myself with one (but even then, I tend to leave it in my wallet until it expires). I rarely use them anymore unless they are something I happen to find and I absolutely know I will buy the product (like Dr. Pepper, my favorite dink). Even then there is a good chance I will forget them at home when I need them. Each kid got a free package of 10 BIC ball point pens and a big writing pad. The cost for these items (new) was zero, and the packages of pens also came with a ten cent rebate in addition to costing no money out of pocket. The coupons came from special newspaper inserts that were donated to the coupon-spending shopper by others. There is evidently a coupon printing cycle for these inserts for which the products "rotate" about every 12 weeks. I honestly don't know how many different coupons are in each insert, but I saw one such insert one time and it had 20 or so pages in it with multiple items on each of the pages. I am also the beneficiary of the use of some of those coupons - the same folks brought me seven big, big boxes of Cheerios (which I like a lot) and asked me if I would like some more. They told me to forget about paying them for the boxes "because they cost almost nothing with their coupons." I saw their "coupon shelf" and it looked like a mini-grocery store. Are coupons worthwhile. To you, no they are not. To others they have a very high value. I guess it all depends on how and why you make use of them. 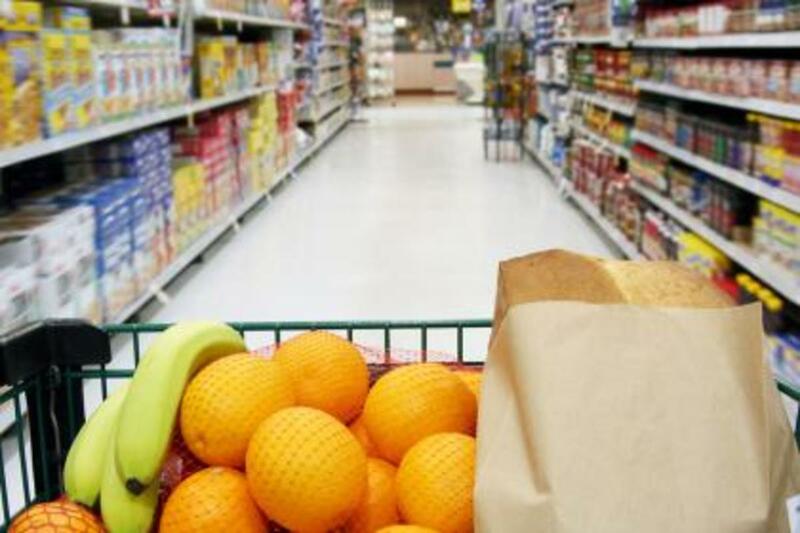 Even WalMart accepts coupons for grocery items, and so does the Kroger store chain. I don't buy enough to make couponing worth my time and energy, but if I had to feed, clothe and educate a big family full of kids, you can bet I would go through the effort to get some real training in how to use coupons. Forgive me for contradicting you so, but when I see how coupons actually work (right now-today) and it is not like you describe it to be, I had to fuss at you some. I used to think about coupons as you seem to think about them. I was surely wrong then, and you are surely wrong now. That's a good point--that's another trick that has gone by the wayside. You can no longer redeem them for cash. They aren't worth the paper on which they are printed!